The end of the year is a time for reflection, to look back at what was accomplished and look ahead at what’s to come. 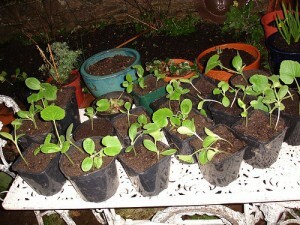 Here at Aurelius, we’ve been keeping busy! This past fall semester, we assisted with another digitally-enhanced class, this time in Classics. 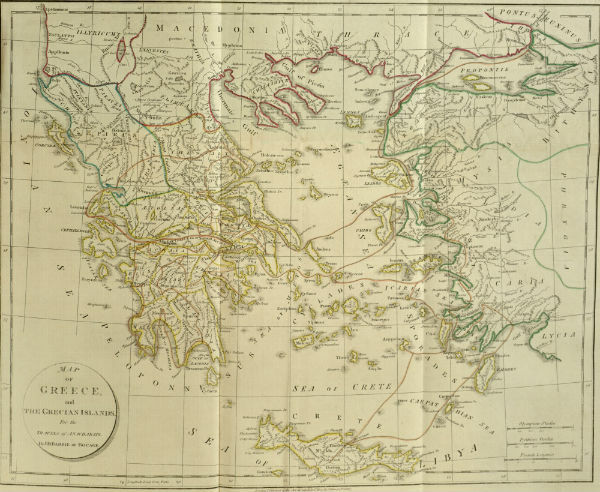 Students in Dr. Valentina DeNardis’s Cities of Ancient Greece (Classics 2051) class had a component to present their research on ancient sites on a course website. This website will be similar in appearance to the Ardmore Project, with a map and clickable locations that lead to students’ essays. Students are currently finishing up their coursework as the semester winds down, so this website will be ready for viewing early in 2015, with a launch party for the project scheduled for February 16 (more details to come). Complementing the class on Ancient Greece, we will be assisting with another of Dr. DeNardis’s classes in the spring semester, this time focusing on Ancient Rome. 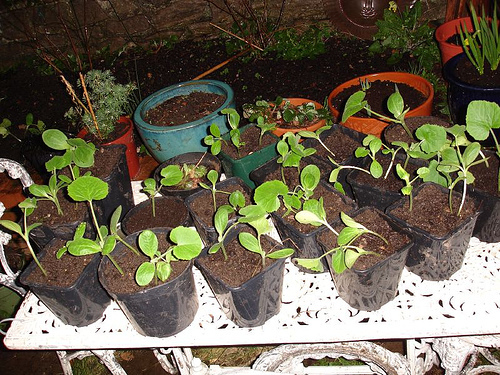 This course will also be discussed at February’s launch party. 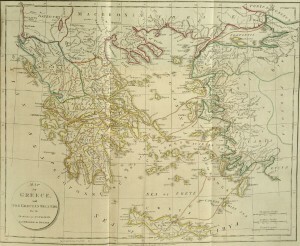 Map of Greece, from volume 8 of The Travels of Anacharsis the Younger. Our other major project for the fall semester was organizing and hosting a series of Digital Humanities workshops for graduate students. The series consisted of five workshops, beginning with an Introduction to Digital Humanities, and followed by Coding Basics, Audio Editing, WordPress Beyond the Basics, and Mapmaking for Digital Humanities. These workshops were taught by local experts and focused on providing students with an introduction and overview to some useful tools and ideas. Students who participated enjoyed the workshops and learned a lot. Looking ahead to the spring, in addition to our continued collaboration with Dr. DeNardis on describing the ancient world, we will be collaborating again with Dr. Craig Bailey of the History Department on a reiteration of the Ardmore Project. This time around, we will actually be expanding the project to encompass more of Lower Merion Township. We just met with Dr. Bailey and I’m pretty excited about his ideas for the future of this project! 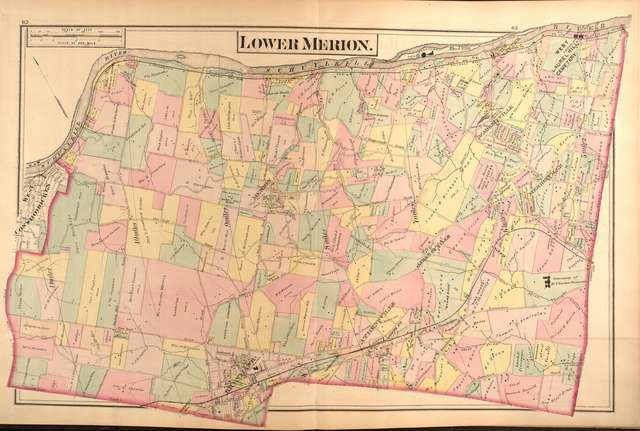 Map of Lower Merion, from the Atlas of Philadelphia and Environs (1877). We wish you a happy & healthy holiday season and we hope you’ll stay tuned for more about our new and continuing projects! During the spring semester, the Aurelius Digital Humanities Initiative launched its second project, a digital edition of El Peru en sus tradiciones en su historia, en su arte. 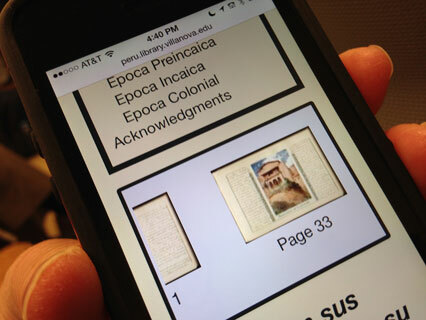 The project was commandeered by Visiting Assistant Professor of Spanish Chad Leahy, PhD, who worked with his special-topics Spanish class to digitize and transcribe the text. Guidance was also provided by Laura Bang, digital and Special Collections curatorial assistant, and David Uspal, senior web specialist for library services and scholarly applications. Dr. Leahy explains that the materiality of text as object, the smell and feel of the item itself, has a story to tell us and digital humanities as a new technology has a way of opening this aspect of the text to the world. El Peru en sus tradiciones en su historia, en su arte is a 133 page multimedia scrapbook that contains postcards, newspaper clippings, drawings—more than 160 distinct visual objects in all. In many cases, these entries are copied without original sources, raising difficult questions regarding authorship, provenance and purpose. There is no way to prove authorship, but Dr. Leahy speculates that the text may have originated through the Augustinian missions in Peru and was probably a gift. The latest internal date, 1924, suggests that the scrapbook was produced in the latter half of the 1920s. In addition to studying the Peruvian text, Dr. Leahy’s class had the opportunity to develop hands-on digitizing skills while scanning the text Los dramas de la Guerra, a serialized account of the First World War published in Barcelona during the war years. Participants loved the way the website reformatted for easy reading on hand held devices. The first full academic year of the Aurelius Digital Humanities Initiative was a great success with two classroom-based projects and their respective launch parties. 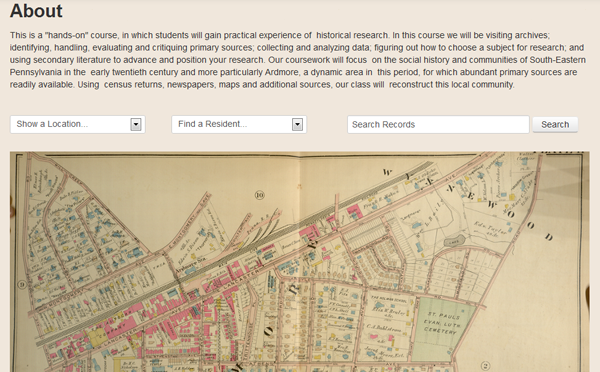 On Tuesday, March 11, we launched our first digital humanities project, the Ardmore Project. Looking at “Suburban Life in the Early 20th Century,” this project profiles the town of Ardmore, PA, through an interactive map and case studies. Students in Dr. Craig Bailey’s junior research seminar for History majors learned how to conduct historical research by accessing primary source materials available through local archives and special collections. In addition, students got hand-on experience in editing a website as they compiled their research into biographies and case studies for inclusion in the project website. On Wednesday, April 2, we launched our second project, a digital edition of El Perú en sus tradiciones, en su historia, en su arte. This project is a digital edition of a Spanish-language manuscript from the Special Collections of Falvey Memorial Library. Students in Dr. Chad Leahy’s special topics Spanish class learned about the process of creating and editing digital scholarly editions of texts and got hands-on experience in compiling a digital edition of their own. Students transcribed the text and added light annotations and Dr. Leahy provided the final textual review and corrections. Both classes had an additional assignment of digitizing materials for Villanova’s Digital Library. In small groups, students made appointments to spend about an hour scanning documents with Digital Library staff. This gave students first-hand experience in how rare and fragile materials are handled and made available to a wider audience through digital copies. Students in Dr. Bailey’s class scanned issues of the Ardmore Chronicle from 1905 while Dr. Leahy’s students scanned Los dramas de la guerra, a serialized account of the First World War published in Barcelona during the war years. We are really proud of both of these projects. Special thanks go to our faculty collaborators, Dr. Bailey and Dr. Leahy, for recognizing the value of getting digital skills into the classroom. These students now have high-quality digital projects with their names attached that they can refer to as they enter the job market or apply to graduate school. The digital humanities continue to grow and it is important to train the next generation of scholars in the tools and concepts that will become standards. For the coming year, we are already planning a series of DH workshops for graduate students in the fall semester, putting together more classroom-based projects, and compiling an online exhibit of graduate History students’ research. There is already much to look forward to, so stay tuned as we continue to grow our DH community here at Villanova. (PhillyDH) represents a friendly peer network of novices and experts alike, dedicated (for now) to the exploration of new ideas, tools, and best practices in the world of digital humanities via forums, workshops, meetups, happy hours and whatever else suits our fancy. Begun back in the fall of 2012 out of discussions at a regional ThatCAMP, PhillyDH is a loose association of individuals interested in promoting Digital Humanities in the greater Philadelphia area. More of a volunteer-driven collective than a formal group, it has no real hierarchical structure (no officers, etc); rather, events and promotions are all started by members of the group generously volunteering their time, efforts and resources. PhillyDH: we have a logo, so we must be legitimate. An example of this: on Tuesday, June 4th, 2013 the University of Pennsylvania held PhillyDH@Penn, an “unconference” (i.e. a participant-driven meeting), at the new Special Collection Center at the Van Pelt-Dietrich Library Center. Activities for the day included two sessions of planned workshops, three rounds of unconference sessions, and a lightning round of talks (short, two minute blurbs), capped off by “The Age of Scale”, a talk by Michael Edson, the Smithsonian Institution’s Director of Web and New Media Strategy. Workshops and unconference sessions held included various topics such as Open Access Images, Video Production, Photo Editing (with free and open source products no less! ),and intensity mapping, as well as on technologies including EAD, TEI and OpenRefine. Previous to this event, on April 11th, 2013 PhillyDH met at the Chemical Heritage Foundation in downtown Philadelphia for a Project Incubator night, where over thirty local PhillyDH members gathered to offer advice, ideas and expertise for six local project proposals. The idea was for the PhillyDH community to act upon its mission statement “to learn, to teach, to collaborate, to create, to pitch-in” and help local projects move forward, for both potential projects and projects already in the works. Projects on the docket for the evening included projects exploring the educational value of gaming, mapping of historical data, and aggregating information on local events and projects, among others. Everything poetically comes full circle when, on September 27 and 28th 2013, PhillyDH will be the host for the next Philadelphia area ThatCAMP. Last Tuesday, April 30, was the formal launch party for the Aurelius Digital Humanities Initiative. We had a “soft launch” in the fall to let people know Aurelius existed, but Tuesday’s event was a glimpse into two of the projects that we are currently working on. (Both of these projects happen to be mapping projects, but we’re certainly open to other kinds of projects!) I gave a brief introduction about the definitions of DH and the kinds of projects Aurelius can support, then I turned it over to our speakers. Our first presenter was Dr. Annika Thiem, an assistant professor in the Department of Philosophy. 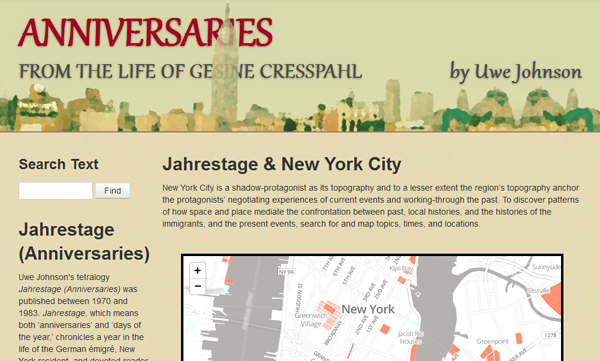 Annika’s project will investigate the role of New York City as a “shadow-protagonist” in Uwe Johnson’s Jahrestage (Anniversaries) tetralogy (published from 1970-1983), in which the main character Gesine Cresspahl navigates her way around the city while relating her own and her family’s memories. 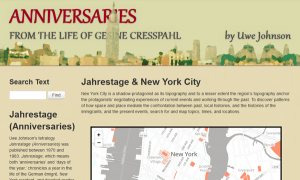 The idea for this project is to create a searchable, interactive map of locations, historical layers, and topics. This project is in its earliest stages, so we do not have a projected launch date, but you can see a screencap of the mockup website below. The second presenter was Dr. Craig Bailey, an associate professor in the Department of History. Last year, Craig taught a junior research seminar that focused on local history and this year we’ll be bringing that course into the digital realm. 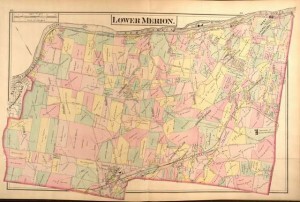 Students will have the opportunity to explore the history of Ardmore, PA, through census data, maps, and other archival materials and use their findings to compile an interactive map of the region. We’ll be working with Craig to develop the course so that students will get hands-on experience in Falvey Library’s Special Collections and Digital Library. We’ll be running this course in the fall semester, so stay tuned for more details. For now, you can see a screencap of the website mockup below. David Uspal, Aurelius’s Digital Humanities Technology Developer, then gave a brief overview of some of the technology he’s been developing to support these two projects, including the interactive map and timeline tools. I was very excited to see such a great turnout and interest for this event. Stay tuned to hear more as these projects progress and please be in touch if you have your own DH project idea you’d like to collaborate on! The Library will be celebrating the formal inauguration of Aurelius with a launch party scheduled for Tuesday, April 30 at 1:00pm in Room 205 in the second floor Learning Commons of the Library. The event will feature a discussion of the definition of “digital humanities” and how Aurelius will support this emerging trend in scholarly practice, as well as work-in-progress project overviews from Dr. Craig Bailey (History) and Dr. Annika Thiem (Philosophy). Light refreshments will be served. This event is open to the public. More information about Aurelius can be found on our website. 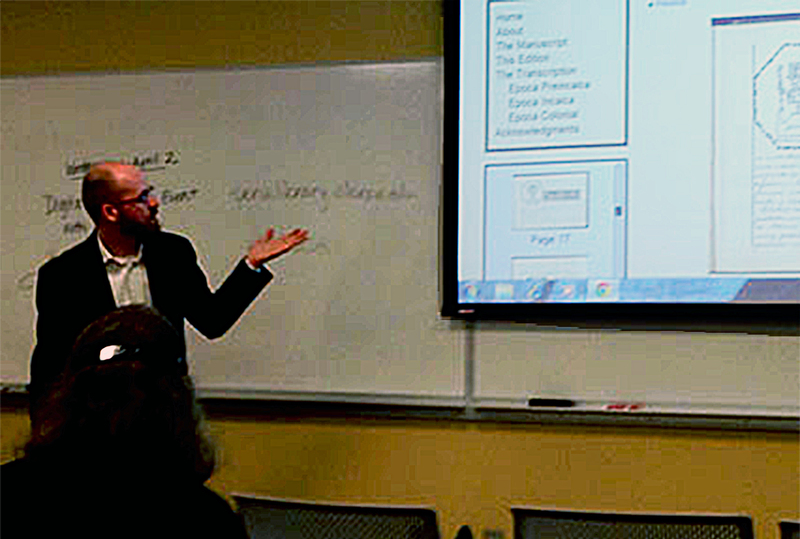 November 27, 2012, was the inaugural meeting of the new regional group for digital humanities in the Delaware Valley. There are already over 100 members in the Google Group and 34 of us showed up at the Chemical Heritage Foundation for the first meeting. I’m so excited that so many people are interested in creating a regional DH group! I first got interested in DH while working on my master’s degree in the Washington, D.C. area, which is fortunate to have two really excellent DH centers (CHNM and MITH), so I’m really excited to help bring some of that vibe to Philly! At the meeting, we discussed a few topics including what our vision for the group is and what sorts of things we would like the group to do. In order to facilitate this, we broke into a few smaller groups. You can read the minutes from the meeting here. If you’re interested in helping out, our working groups are: the web & social media team, the programming team, and the outreach team. If you don’t want to help out actively at this time, you are welcome to stay in touch via the Google Group and Twitter (more social media accounts to follow). As we start our own DH initiative here at Falvey Library, I’m wrestling with a lot of the same questions the regional group is. It’s easy to say that we should support DH, but it’s much harder to make that vision into a concrete reality. What is/are the digital humanities? How can we “sell” it to people who would be interested in the kinds of projects you can do with DH, but maybe don’t understand what DH is? How do we evaluate DH projects? How do we integrate DH into the classroom? There are a lot of questions and — at least for now — not as many answers. But that’s okay. DH is a growing movement and, more importantly, a growing community. I’m looking forward to seeing what we can grow here at Villanova. Today, at an informal “brown bag lunch,” we are excited to introduce the Aurelius Digital Humanities Initiative, a project of Falvey Memorial Library to support digital humanities (DH) projects and promote a DH community here at Villanova. Humanities scholarship and technology are intersecting in interesting ways and the Library believes it is important to facilitate and support these connections. Our digital humanities initiative is still a work-in-progress as we get a feel for the interests and scope of those interested in DH at Villanova. What should a Villanova DH program look like? We hope you’ll be part of the conversation!